When we delivered Martin’s demand letter at the offices of the Sunny Crest Manor Apartments, we met Zanetta Greene as we stood outside discussing the following steps to Martin’s case. Zanetta, a Syracuse resident, immediately got interested in our action and shared that she has her own radio show in which she serves as a motivational speaker and shares situations that CNY residents are undergoing. She enthusiastically supported our action and offered to support Martin and others in this struggle by giving information on her radio program “Keep it Realimony”. Her radio show airs every Monday from 3 to 4pm on WSIV 1540 AM. 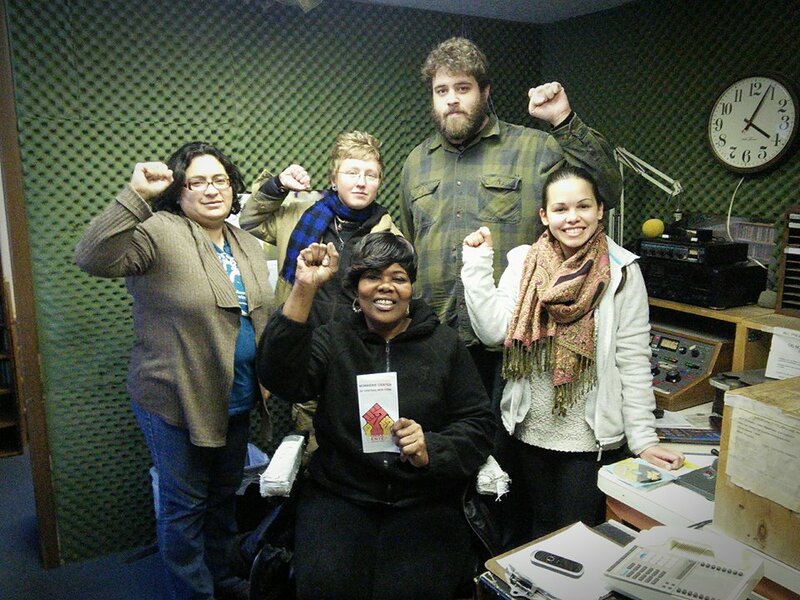 We were invited to Zanetta’s show on Monday, January 12 to talk about our work at the workers’ center and to share Martin’s case with her radio audience. Zanetta will be hosting us on her radio show once a month to share the WCCNY’s actions, victories and upcoming events. We will keep you updated on our next visit to “Keep it Realimony”; until then, make sure to listen to her radio program every Monday at 3pm! Zanette Greene from WSIV 1540 AM “Keep it Realimony” welcomed us to her radio show where we shared our mission, actions, victories and upcoming events. Join us next month to get an update on the actions we are taking to better our communities. Sí se puede!